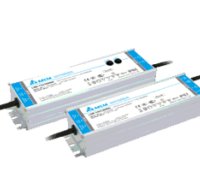 Delta offer many different types of power supplies. 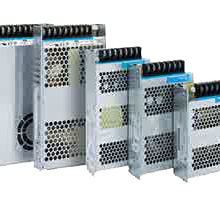 The DVP series, CliQ series DIN rail mounting models and the PMC/PMT panel mounting models, are highly efficient and stable industrial power supplies. 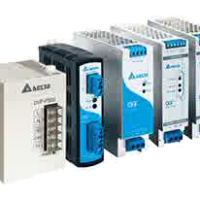 Delta Electronics, the global leader in power and thermal management solutions, is unsurpassed in professional design and experience in power supplies. 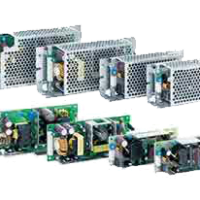 The PMC and PMT series Panel Mount Power Supply products offer nominal output voltages of 4.2V, 5V, 12V, 24V and 48V with output power ratings from 15W to 600W. 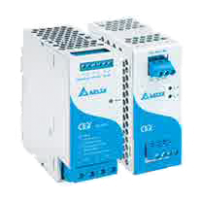 These single phase power supply units have a wide operating temperature range from -10°C to +70°C. The products come with versatile three connector options (Terminal Block, Front Face and Harness). The Panel Mount Power Supply products are fully compliant with RoHS Directive 2011/65/EU for environmental protection for selected models.